Much of northern Mississippi remained on tornado watch Monday afternoon after a twister made its way through Tupelo, according to a National Weather Service report. 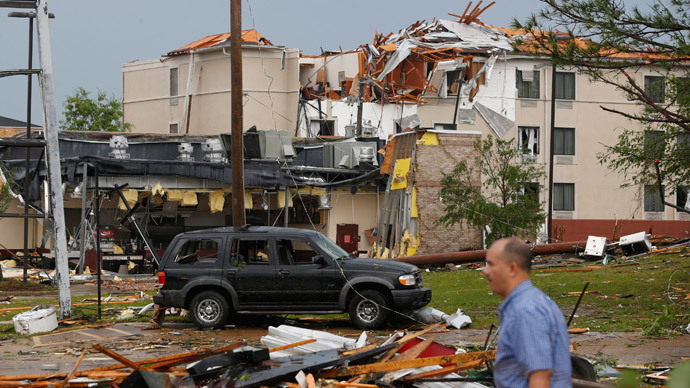 Major damage was reported, while state officials said up to seven people had been killed. Parts of Alabama, Arkansas, and western Georgia were also placed under tornado watch until Monday night as the storm system slowly traveled north from Mississippi to the mid-Atlantic states. A total of twelve tornadoes were recorded in that state. 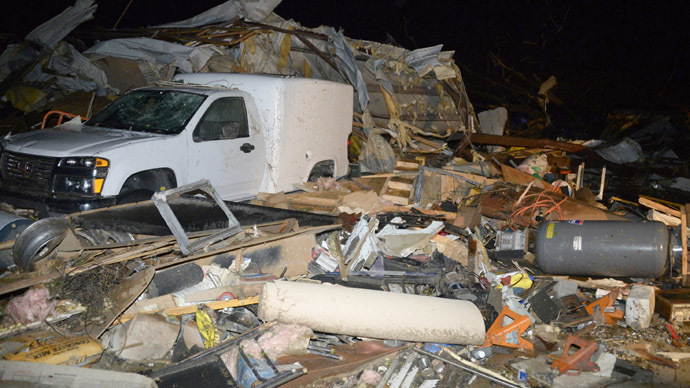 In Alabama two people had been confirmed dead as of Monday evening, while as many as six fatalities had been reported as that same storm system generated funnel touchdowns. Rescue workers, volunteers, and residents were searching for answers in Tupelo Monday afternoon after a tornado struck at approximately 3:00 local time. A number of photos chronicling devastated buildings were quickly published on social media and submitted into local media outlets. Meteorologists reported seeing a “debris ball” signature on their Doppler radar, a clear warning that a potentially dangerous tornado was incoming. Television news anchors and weathermen at WTA-TV in Tupelo, in trying to relay the warning to the public, were forced to evacuate the studio for their own safety. 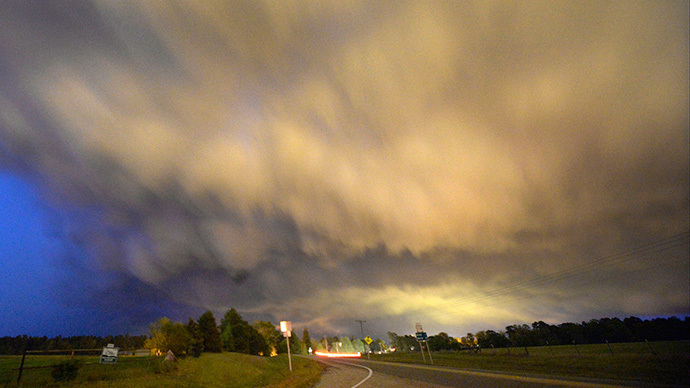 Tupelo, with some 140,000 residents, experienced heavy winds and downed power lines. Just as the town's residents were assessing the damage from the storm that swept through their town, a second tornado appeared 100 miles to the south in Winston County. As the first tornado was seen moving east-northeast from Louisville a second tornado was reported moving into the area from the west. At least 14 people died in Little Rock, Arkansas after a massive tornado created 80 miles of destruction through the suburbs around the state capital on Sunday. The National Weather Service warned that the Little Rock tragedy would not be the last before the end of storm season. Governors in multiple states declared states of emergency, with meteorologists advising that the potential of sudden tornado formation will be present into the beginning of the week. “This is a multi-day event and today is the second day of significant tornado risk and unfortunately, probably not the last,” Bill Bunting, operations chief at the NWS’ Severe Storm Predictions Center in Norman, Oklahoma, told Reuters Monday.